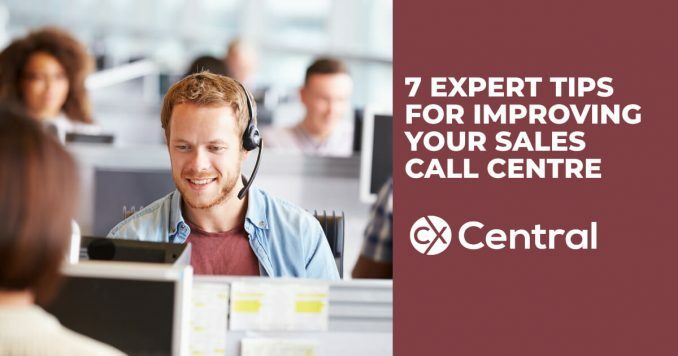 With everyone looking for an edge we’ve got 7 tips to improve your call centre in sales and service. With contact centres being at the heart of delivering the brand promise for many businesses, let’s consider what elements really help make these sales and customer service teams successful. Leaders in the industry want to be customer-centric yet often struggle with balancing great service versus operational effectiveness as change takes time and real effort. Effort from both the businesses and from the individual. It is widely recognised that providing outstanding customer service is key to making you stand out from the competition and to generate long-term financial rewards. However, whilst it is very easy to trot out this cliché, does your business really deliver great service across all customer touch points? If you delve beyond the top level KPIs, you could be surprised by what you discover. Do your call centre sales teams take orders or do they proactively pursue all sales opportunities? McDermott says, “when working with a global IT firm, we recommended that their salespeople should regard the focus of their conversations with customers as a means of encouraging customers to buy rather than simply the provision of product information”. They also recommended that this client also included a new approach to embed and improve the team leaders coaching skills, so that these salespeople were given appropriate and consistent guidance in their workplace. Organisations must consider how their call centre performance indicators impact other business measures and their possible impact on other teams. Call quality outcomes such as customer satisfaction must be linked to call quantity performance indicators such as the number of calls taken and online availability. For example, an agent who takes a little longer to clarify customer concerns can redirect the customer to the right department, resulting in the issue being quickly and efficiently resolved. Wrongly re-directly calls often result in frustration and an adverse brand experience for the customer coupled with call overloads in other areas of the business. Are emotions impeding the call centre agents ability to sell? Your agents might actually have difficulty in selling your product or service because of their feelings toward the product. When working with an insurance firm, McDermott suggests that they discovered that agents were struggling to sell mortgage protection insurance because they felt that the premiums being charged were very high when compared their own earnings. This was presenting an emotional challenge for them in how they pitched these products. By developing the right coaching skills with their line managers, these managers were able to talk to their people about what constituted a large premium and what the impact would be even for their relatively wealthy customers if they were unable to pay their mortgage. The order in which services or products are presented can have a significant impact on the results of a sales call. People often refrain from discussing the hardest service or product first, as theyre not confident in how to do this; even if this is the solution for the customer. In the same insurance company discussed earlier, Prosell encouraged agents to sell the product they viewed as hardest first before moving on to the products they found easier to sell. This built the agent’s confidence in discussing the product, which in turn enabled them, have better customer conversations. Good onboarding (induction) and development programmes can be key to retention and consistent customer service. Many call centres attract 18-24 year olds in their first serious employment. The challenge for any organisation with this demographic is to provide a fun, rewarding and challenging environment that quickly spots talent and fast-tracks these people as possible promotion candidates. Frontline supervisors and managers are key to the success of the onboarding and development of the new recruits. Key to the success of a good induction programme is consistently improving the performance coaching skills of the supervisors and managers, so they can provide both planned and spontaneous support to their people in the workplace. Dealing with uncomfortable people issues, such as attendance and timekeeping, can be challenging for many supervisors and frontline managers in call centres. These issues, if ignored or dealt with passively can have a detrimental impact on motivation and performance of the entire team. Investing in development for your managers to effectively confront and challenge underperformance through performance coaching will have a measurable impact on morale and therefore the performance of your people.